Nuala recently won The James Joyce Quarterly fiction contest, which asked writers to submit their own version of the short story ‘Ulysses’ that Joyce had considered adding to his collection Dubliners. 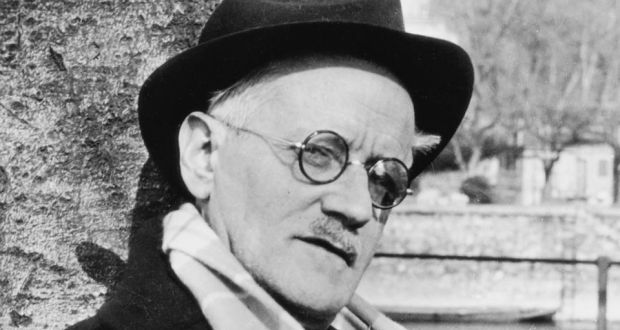 The journal interviews Nuala about her story, and her connection to Joyce, today. (The story is not available online, only in the hard copy journal which can be bought here). See the interview here. 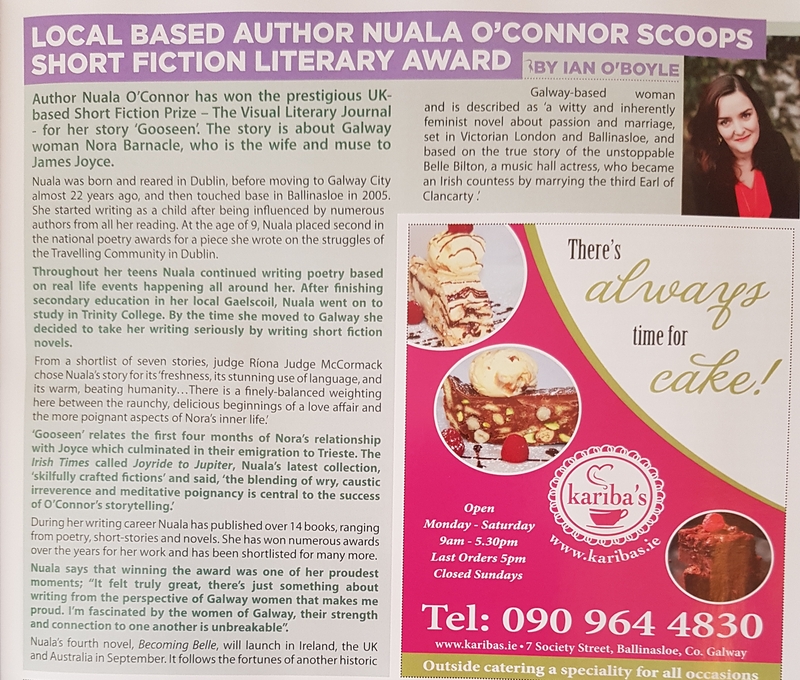 The latest issue of Ballinasloe Life has an article about Nuala’s recent Short Story Prize win. 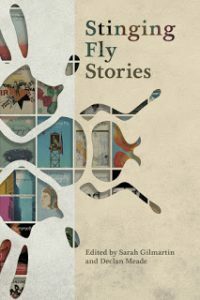 Nuala has won the 2018 Short Fiction Prize with a story about Nora Barnacle, wife and muse to James Joyce. “The winning entry, ‘Gooseen’, stood out for its freshness, its stunning use of language, and its warm, beating humanity. 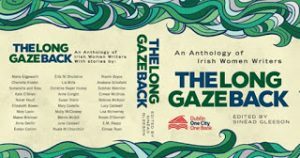 Joycean Dublin as a setting can be a risky endeavour, the path having been so well-travelled already, but this story rises easily above such comparisons to bring us something new and satisfyingly urgent. There is a finely-balanced weighting here between the raunchy, delicious beginnings of a love affair and the more poignant aspects of Nora’s inner life. Giving voice to someone known only through the letters and writings of another is an audacious undertaking, but one ‘Gooseen’ achieves with both a dancing lyricism and a deftly-executed sureness of touch”. Monday 23rd, Cabra Library, 6.30pm: The Long Gaze Back One City One Book event with Eimear Ryan, Susan Stairs and Sinéad Gleeson. Tuesday 24th, Town Hall Theatre, Galway. Reading my flash ‘Pearl’ at the launch of ROPES. Wednesday 25th, Charlie Byrne’s Bookshop. Launching three new Salmon poetry collections by the fabulous trio that are Moya Roddy, Paul Kingsnorth and Anne Casey. Thursday 26th, Bite Club, Galway. Reading from my story ‘The Boy from Petropólis’ at the launch of the brand new Stinging Fly anthology.